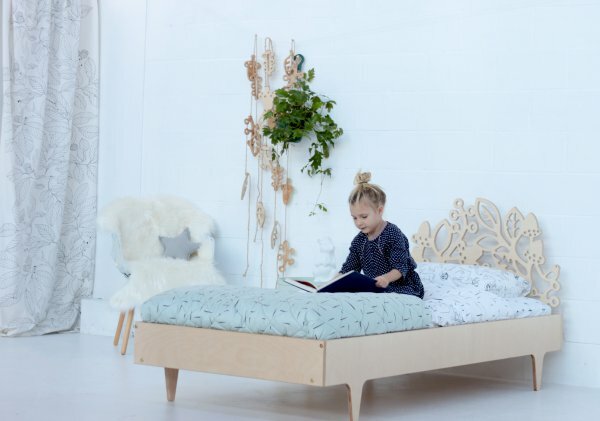 Given that children spend almost half of their time asleep (or refusing to sleep), it stands to reason that kids’ beds should be not only comfortable but beautiful – and that’s just what you’ll get from Twigged Design. Just released, the Twigged Red Bed is a simple Scandinavian design that lets the colour do the talking. Made from Finnish birch plywood, the designer slatted bed is lightweight, resilient and comes as a single with headboard for NZ$949 or double-ended single for NZ$979. In a deliciously rich shade, this stand-out bed is bold, fun and bound to be a first bed that kids never forget. The range also includes the unforgettable Woodland Bed with its spectacular nature-themed headboard. Each bedroom piece is designed and made in New Zealand, and can be ordered online at Twigged Design.